Day 27 of NaPoWriMo and the delightful (and optional) prompt encouraged poets to write an ekphrastic poem based on a photograph. 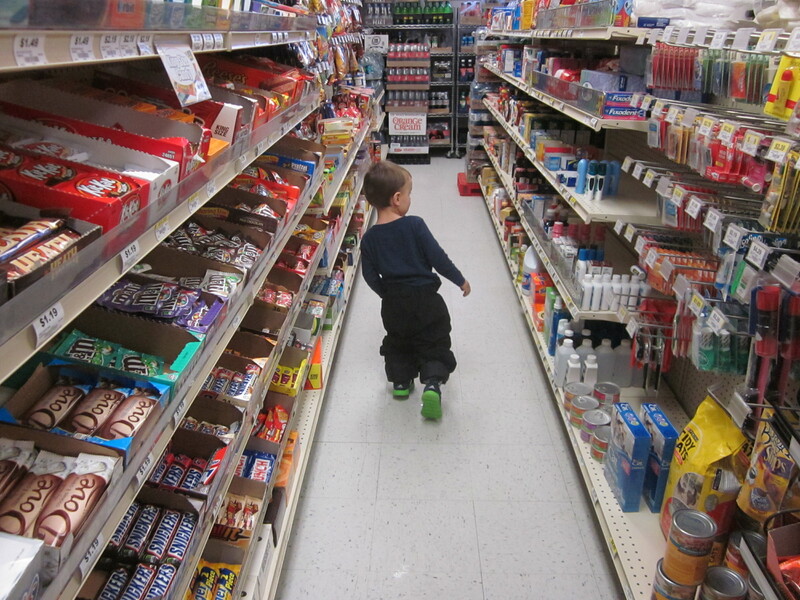 This photo, taken by R at a diner outside Fairbanks, Alaska, is my favorite one of Little r having an “explore.” At the time he had almost no language for what he was seeing on those shelves, just pure awe and wonder. What intrigues me here is the seamless synthesis of two consciousnesses—that which names and illuminates the world–the provider of context and meaning–all through the eyes of the beholder whose capacity for understanding is a mere trickle in this ocean–thereby, you are blending the altered states and the disassociative mechanisms of participant and observer–from on high and down low. Illuminating and profound, Susan. He is my <3. Thank you Katie. Ha! “The Little Toddling GREEN Tomato!” I love it! Thanks for your kind word, Jilanne! Woops! “The Swirling GREEN Tornado!” I read without glasses! I am especially impressed with the effect your little r has on your writing. When you write for and of him, your writing is especially alive, tender, and captivating. Busted! Yes, I am madly in love with little r. No grandma could be luckier and the amazing thing, wg, is that he teaches me sooooo much. Thanks for noticing. ← Let’s Hear It for the Saints!